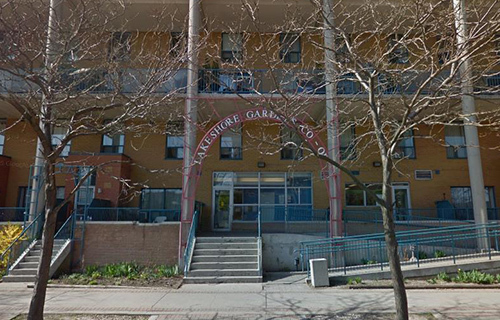 Lakeshore Gardens is Municipally Funded Co-op administered by staff hired by the Board of Directors. It is comprised of seniors, families and singles and has six one bedroom accessible and six one bedroom adaptable units. The co-op also has a two bedroom, one level accessible townhouse. Current Market Prices include utilities and one cable outlet included. Parking is an extra $ 35· The co-op is in a residential neighbourhood within walking distance to shopping and to the TIC.